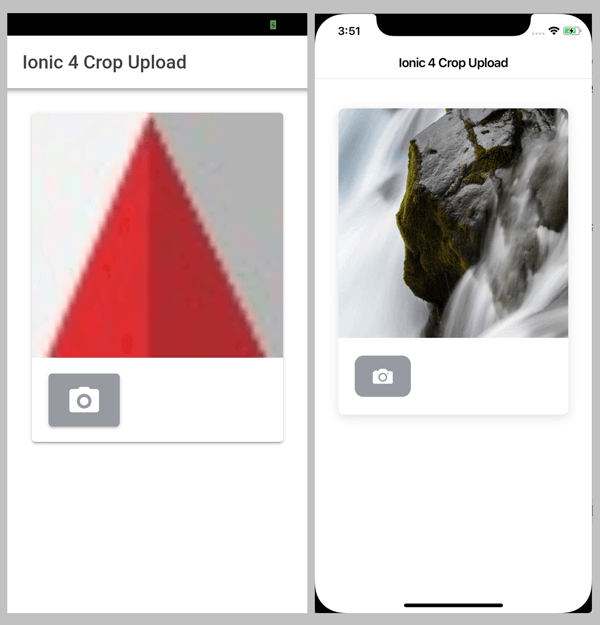 The comprehensive step by step tutorial on crop, and upload Image using Ionic 4, Angular 7 and Cordova. We will use Native Ionic Cordova Crop, File Transfer plugins and it's dependencies. In this tutorial, we will use our existing uploader API that you can find on our GitHub which it uses Node.js, Express.js, and Multer. Or, you can use your own backend or API that using HTML Form Encoding `multipart/form-data`. The scenario is in the Ionic 4 App, click the Camera button inside the preview image then it will open image picker. After image picked then it will go to cropping popup that you can crop anyway you like then upload to the API. 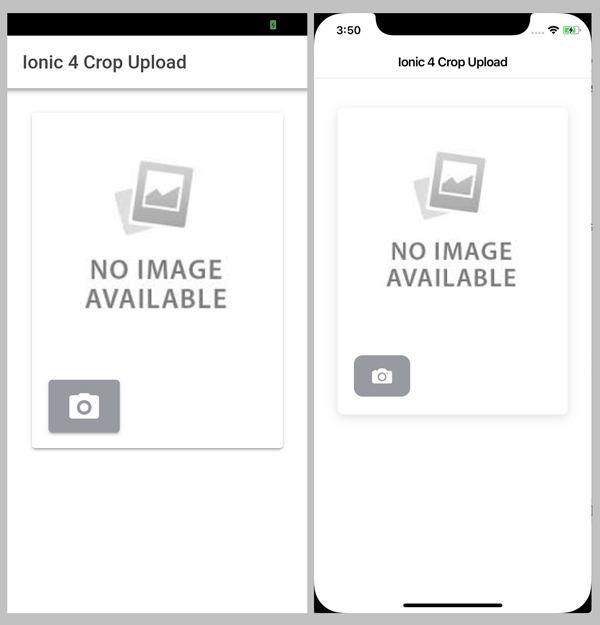 After the successful upload, the Ionic 4 app will preview the Image by URL that saved to the API server. To create a new Ionic 4 App, type this command in your terminal. As usual, run the Ionic 4 App for the first time, but before run as `lab` mode, type this command to install `@ionic/lab`. Now, open the browser and you will the Ionic 4 App with the iOS, Android, or Windows view. If you see a normal Ionic 4 blank application, that's mean you ready to go to the next steps. We will install all required plugins for this tutorial. First, we have to install Native Cordova plugins and Ionic 4 Angular 7 Modules by running these commands. Next, open and edit `src/app/app.module.ts` then add these imports. Add that import to `@NgModule` Providers. We will be using the existing Home component or page to implementing Image Preview, Picker, Crop and Upload. For that, open and edit `src/app/home/home.page.html` then replace all HTML tags with these. Next, open and edit `src/app/home/home.page.ts` then add these imports. Inject those imports to the constructor. Add the variables for hold image URL and response data. Create a function for crop and upload an image file to the API server. As you can see, we use the IP address to access Express.js API from the device. The uploaded image file accessible from the device through `http://192.168.0.7:3000/images/filename` URL. We assume that you have cloned the Node.js, Express.js and Multer image uploader here https://github.com/didinj/node-express-image-uploader.git. Next, open a new Terminal or cmd-tab then go to the cloned Express image uploader. Next, to run on Android devices type this command while the device connected. To run on iOS simulator or device, we have to build it first. 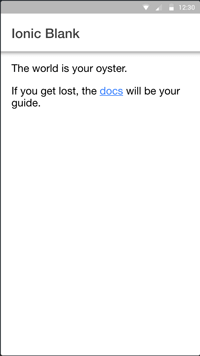 Then open and run the iOS app from the XCode. You will this view from your Android device or iOS simulator. 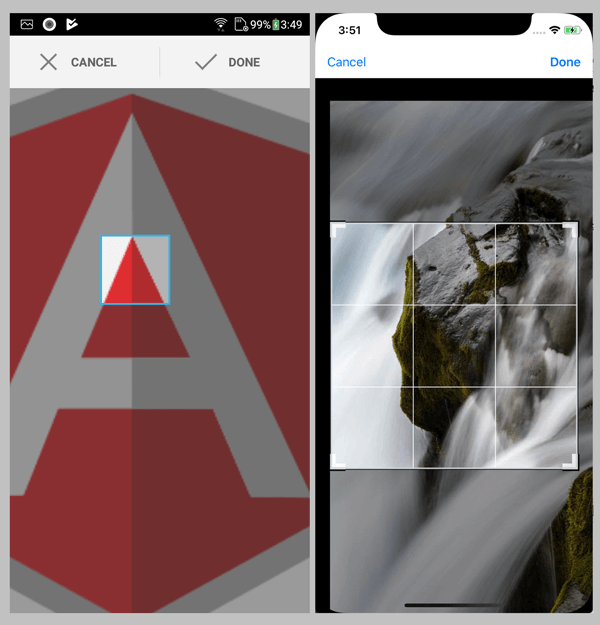 That it's, the Ionic 4, Angular 7 and Cordova Crop and Upload Image tutorial. You can get the full source code from out GitHub.